Glen and I are truly happy with the outstanding professionalism, creative ideas, and special attention you and your entire staff have given our much-anticipated home renovation project. We met Paul in 2003 when he managed the construction of our new 3,000 sq. ft. home on the Jersey shore. 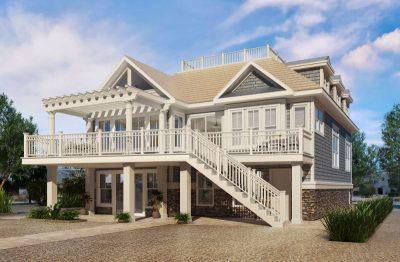 This was a more involved construction project as our property is located on a waterfront lot and subject not only to the harsh weather conditions but also to the regulations associated with living on the water. Whenever we visited the site, Paul was there to update us on the status of the project. Having excellent relationships with the sub-contractors, Paul kept us informed and was always truthful, honest and fully knowledgeable of all aspects of the job. He helped guide us through the myriad of choices to be made and enabled us to arrive at making timely and economical decisions. We were always treated respectfully, and Paul’s sense of humor helped get us through the more mundane and tedious tasks of first-time homebuilders. Paul helped create and build a comfortable, safe and beautiful home for us. Thanks to his focus, determination, experience, energy and attention to detail, we enjoy every aspect of our home. Approaching our retirement years, we are now considering making a few changes, and Paul is the only person with whom we want to work. We are confident he will do a First Class job, on time and under budget. He has not only proved himself to be a First Class architect, contractor and consultant, he has become something more important to us – a First Class friend. Thank you for all your hard work regarding our house at the shore! Everyone has comments on how beautiful it is and that’s because of you! Thank you from the bottom of my heart. Thank you for your guidance over the last 8 months. We truly appreciate your effort. Paul is professional and courteous. He listens well and pays close attention to detail. We weren’t sure of the layout inside but Paul laid out the best possible plan for our home and with all of the work done now, we wouldn’t have changed a thing. We love the house and the direction we got from Paul. He never pushes his ideas (even though he knew better than we did) but allowed us the freedom to design it our way, even though it didn’t work. We ultimately used his first layout which was the best. He knows his trade and does it well. It is important to have confidence in your architect and builder and we certainly did with Paul. 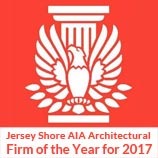 Our house is solidly built and supported and every night we are grateful to know we got the best house from the best architect in Ocean County. We will recommend Paul to anyone in a heartbeat! Here is a contact that I have had excellent experience with and couldn’t be more anxious to recommend. You can use me for a reference for Paul Rugarber who was our architect on our home. He did a phenomenal job and we get so many compliments on the front of our home by people passing by as well as friends and family. Your creative and functional design not only enhanced the beauty and value of our home but also provides us with daily enjoyment in the use of the newly created space. We’re very pleased to have had your professional knowledge and experience to guide us in our project and we continue to recommend you to others seeking quality design and construction work. In the past year, my wife and I contacted Paul at PDRdesigns with an unusual idea to convert a bi-level home into a two story colonial. If that wasn’t difficult enough, we asked Paul to allow for a full cellar as well. Paul carefully listened to our requests for large open spaces, comfortable bedrooms with walk-in closets and elegant baths. His designs and concepts reinforced his knowledge of construction techniques with a trained eye on detail. 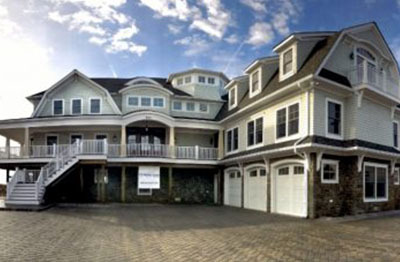 With our project completed, Paul and PDRdesigns have transformed our home beyond our greatest expectations! Thank you Paul for making our dream a reality! After close to a year of working with an architect who didn’t know what he was doing, it was an absolute pleasure to work with Paul on renovating our newly purchased home. 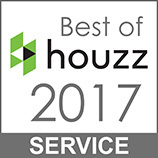 Paul, as well as his entire staff, was attentive and responsive, carefully listening to what we wanted in terms of look and feel for the house, and was able to deliver plans that really hit the mark. When we discovered that the house had existing structural issues, Paul quickly drew up plans for the emergency temporary supports we would need (to stop further damage) while we waited for the Township to grant approval on the plans for the permanent supports (also drawn up by Paul). His quick turn around time really spared us from losing any further time on the project. We highly recommend Paul to everyone.